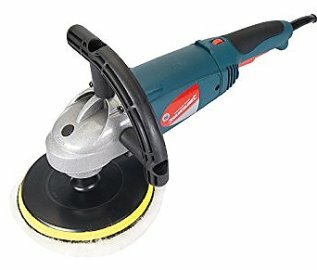 Mains-powered 600W random orbit sander for polishing and buffing vehicle bodywork, and other sanding tasks. 1500 – 6800rpm and soft start feature. 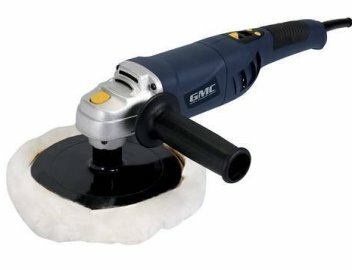 Mains-powered 1500W polisher with 180mm hook and loop backing pad for efficient accessory installation. Safety switch prevents accidental start, and auxiliary handle optimises operator control during use. Variable speed control for increased workpiece versatility. Includes sanding disc and polishing bonnet. Adjustable 0-45° arm angle and click-fit mechanism for easy tool-free fitting of drums and wheels. 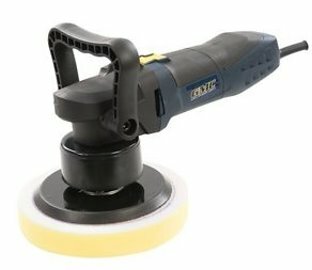 Fast effective sanding on a wide range of surfaces. 1900 - 4000rpm variable speed and rocker power switch for easy handling. Drum guard and angled handle. Uses shape-adjusting flap wheels or sanding sleeves mounted on a rigid drum. Includes dust port adaptor, sanding sleeve drum, 80 grit sanding sleeve, 15mm and 60mm flap wheels.